U.S. 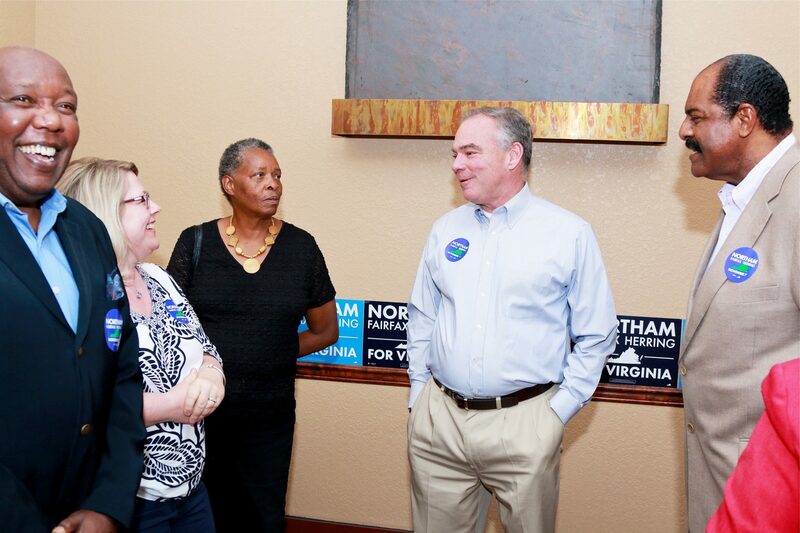 Senator Tim Kaine was in Chesapeake last Friday for a campaign reception endorsing the Democratic candidates for governor, lieutenant governor and attorney general—Ralph Northam, Justin Fairfax and Mark Herring, respectively— in the upcoming November 7 election. 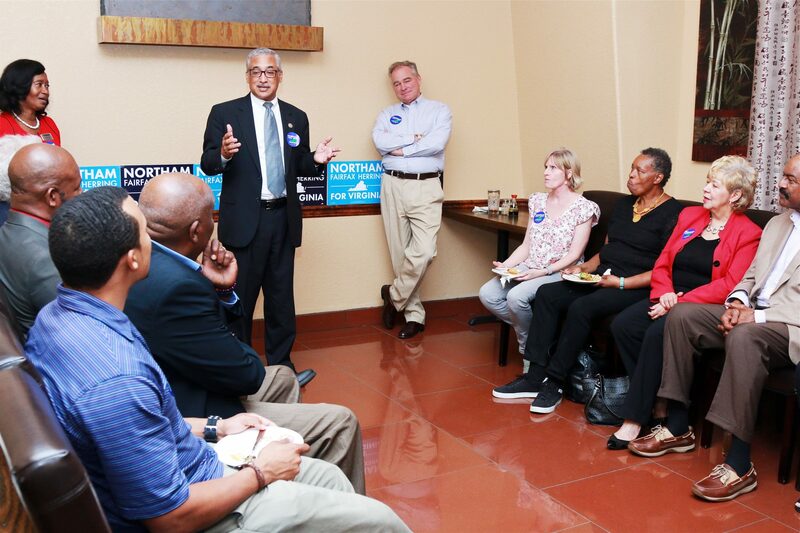 The reception held at an Asian cuisine restaurant was hosted by Pat King, M.D., and City Councilwoman Dr. Ella Ward of Chesapeake. U.S. Congressman Bobby Scott was in attendance to bring greetings.